Call, Call, Call again and keep on it - I've heard nothing for Canada. I'm in the same boat - US and CAN cars are identical. Well its certainly worth a try if its only an hour. If it was bought in the us technically it could work, but MB Canada is not fixing these. Settlement was between nhtsa and mbusa. Hello to all senior members and new w211 amg owners like me! I sent my e55 to the dealership earlier this week. Recently, it is running with some error codes of lean on fuel trim and one of evap leak, with a CEL. there are gas drops after refill and smell outside the car. Yesterday, the repair manager sent me an email saying the problem is from the tank gaskets which is not included in the extended warrenty?? And he said the CEL is caused by upstream O2 sensors not the fuel system leak. I personally has not pulled out any code about O2 sensors before and the car had an eurocharge tune. 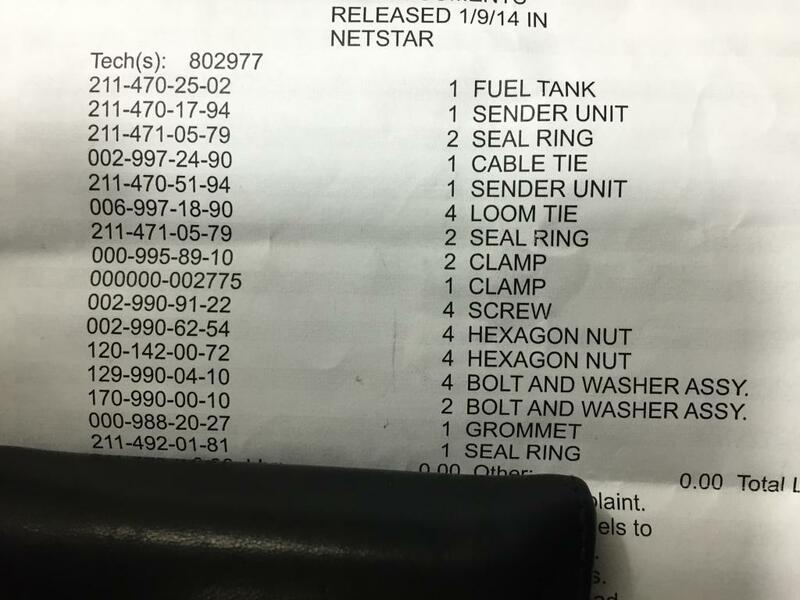 I asked why the tank gaskets are not included by the warrenty and he emailed back with an bulletin on January 9th, which there is a note under "which parts are covered" saying gaskets(MY 08-11 only)(attachment). I am little confused now about my next move. Have had the car for 4 months and ready for a coilover conversion. Also thanks to the people who helped making the warrenty happen! I took off my seat and saw a small pool of fuel by connector would they consider this under the warrenty? Mine looked just like that this morning when I took it in. They just called and said it was approved for the warranty repair. In my case, they are replacing the entire fuel tank and senders. its saying ANYTHING on the tank that is leaking that would have been covered under the original factory warranty will justify approval of this new warranty extension. call mbusa or go to another dealer. Got mine back and here are part numbers for whatever reason needed. Haven't forgot about u Greg. these sender units are the now outdated part numbers. unfortuneately dealers have inventory of the old numbers and use them up first before the new numbers. 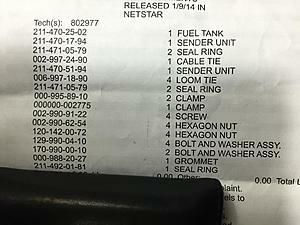 @rocman8 these parts were the parts that dealer ordered they were not in stock. sorry. dealers and the local parts depots use up the old numbers first. Wouldn't be surprised if all available old versions in stock are used up. First in first out inventory. Hey berti was yours actually leaking or you just had the evap code? So I was originally only getting new fuel pumps. My rep called me a couple of days ago and now I'm apparently getting the whole system replaced. ****ing sweet!!!!!! That's good news, so now anyone just with an evap code can have the whole fuel system replaced. Got the letter in the mail past week. Based on some of the info on the thread, i may wait til after April when possible new versions of the same parts are available. Has a new design for the pump or tank assemblies been developed/manufactured? I still haven't received the letter yet.